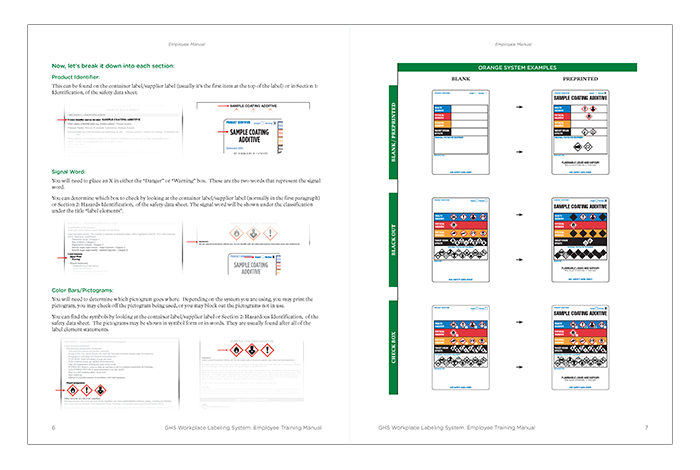 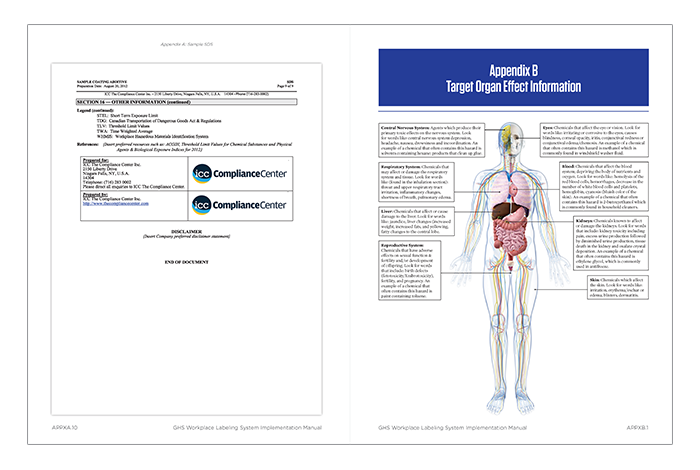 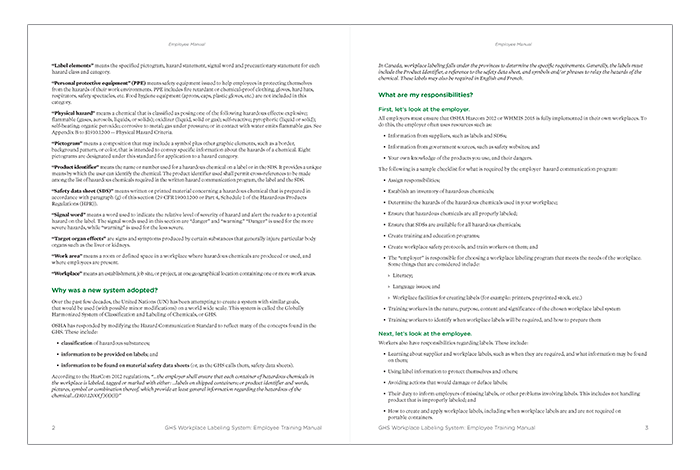 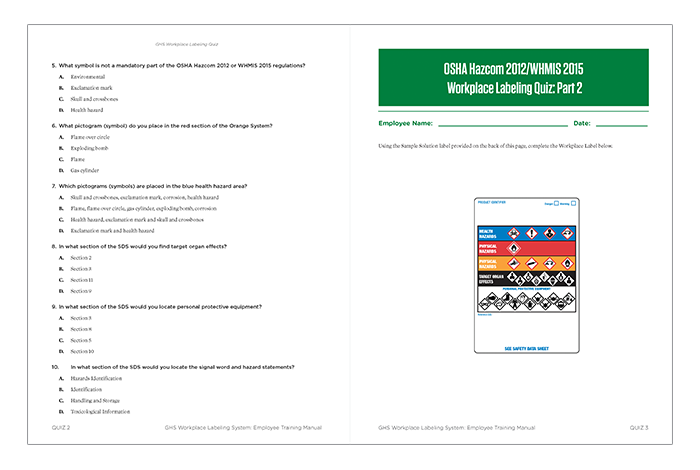 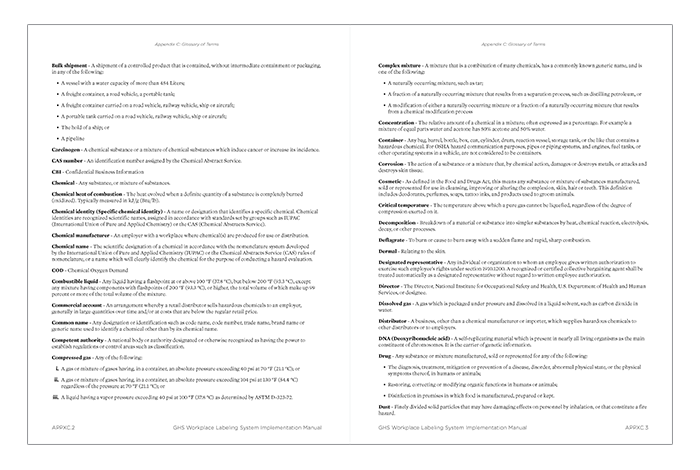 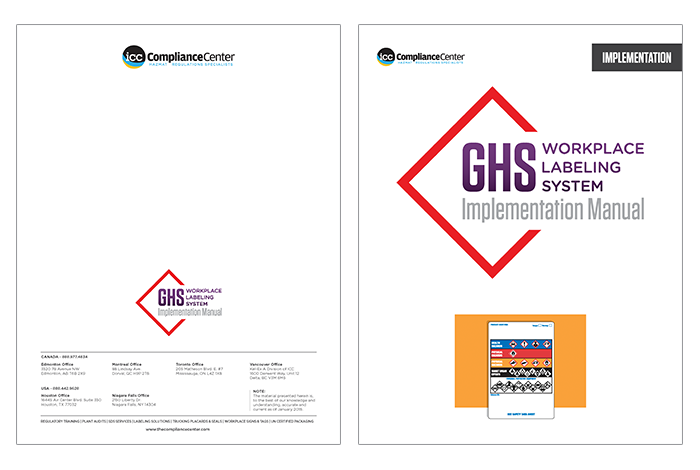 First you will see the covers and layout samples for the GHS Workplace Labeling Implementation Manual. 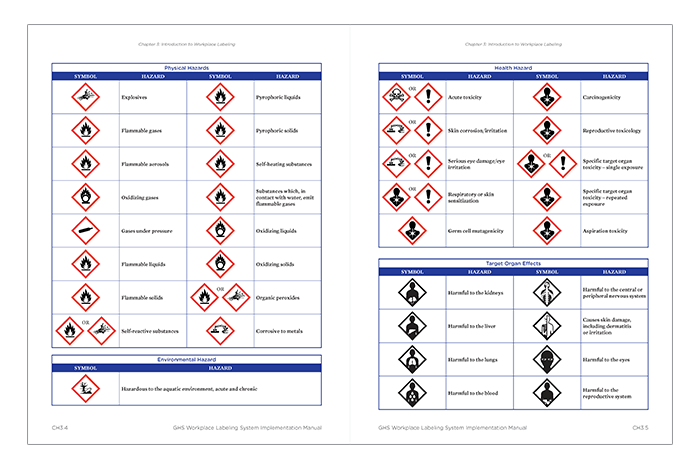 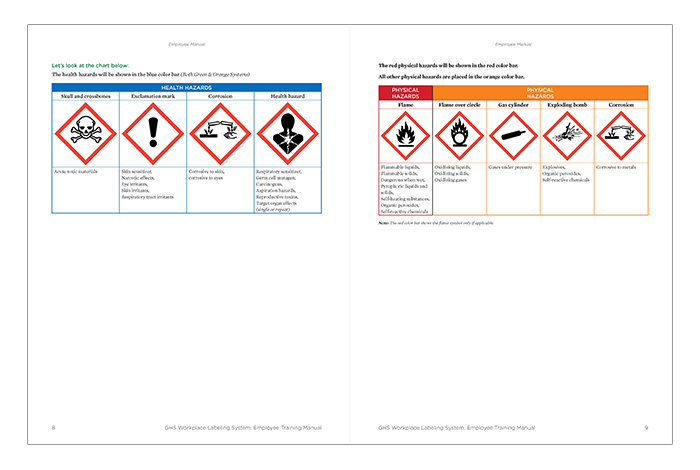 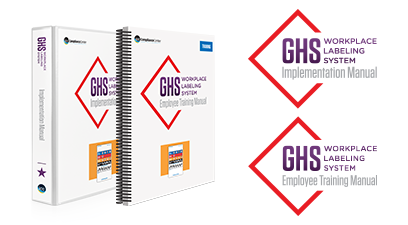 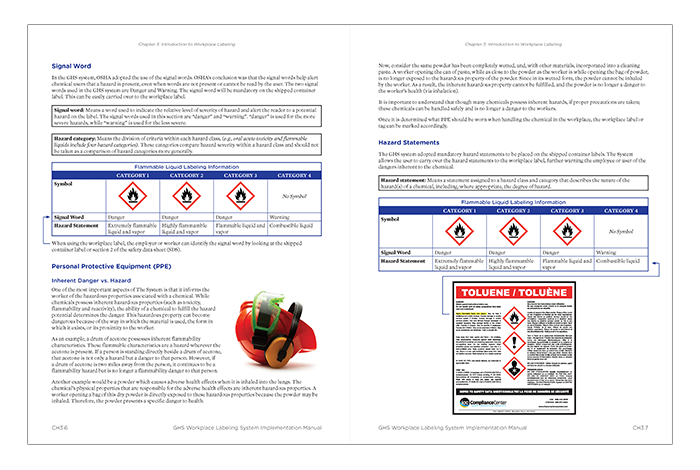 Below are the covers for the GHS Workplace Labeling Training Manual. 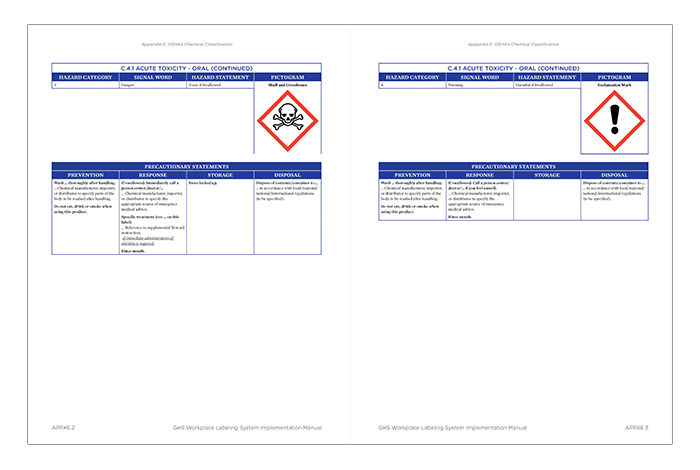 Work with the regulatory department to layout implementation and training manuals for new Globally Harmonized System regulations.